Now for something completely different… well, except there are huge numbers of de-facto crypto-Anglicans who are catholic school teachers in the government-run catholic school system (a warning for Americans about Common Core!). 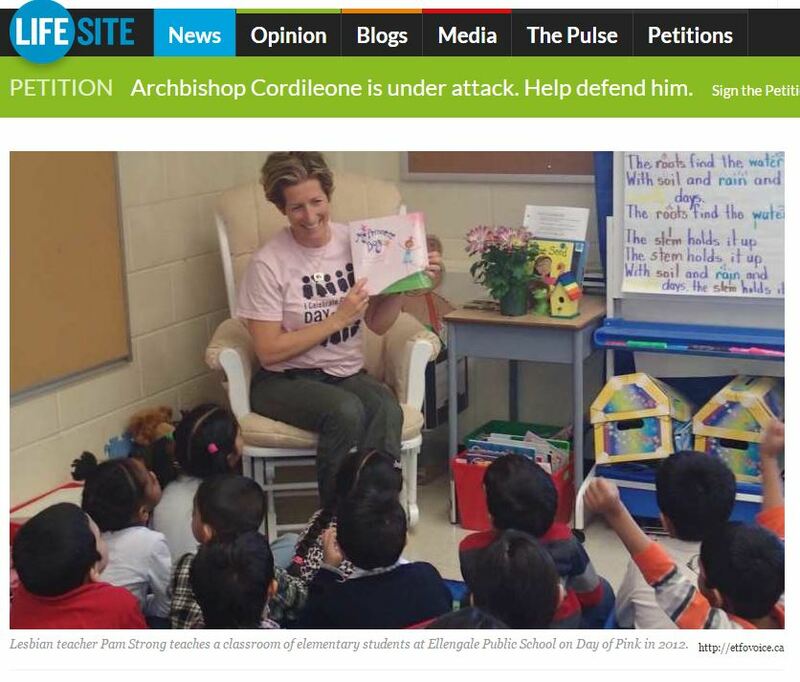 They want to have their cake and eat it too and climb the OCSB OECTA job ladder, while actually believing more what anglicans mistakenly believe instead of the Catholic faith. 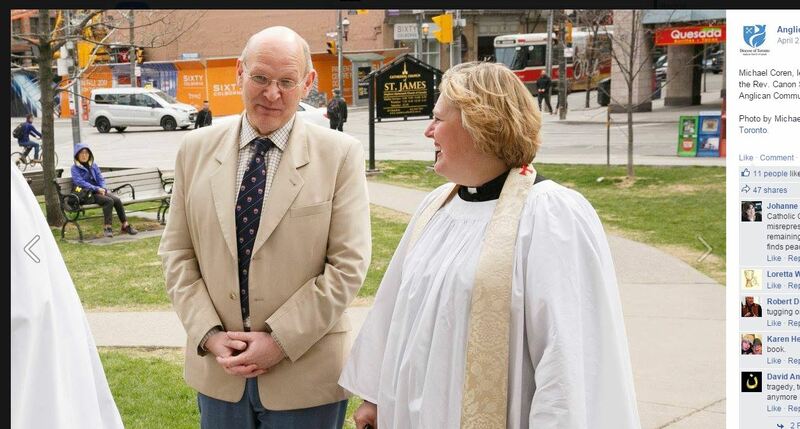 Michael Coren officially became an Anglican this week. And he announced that he has been Anglican for over a year. March 2014? 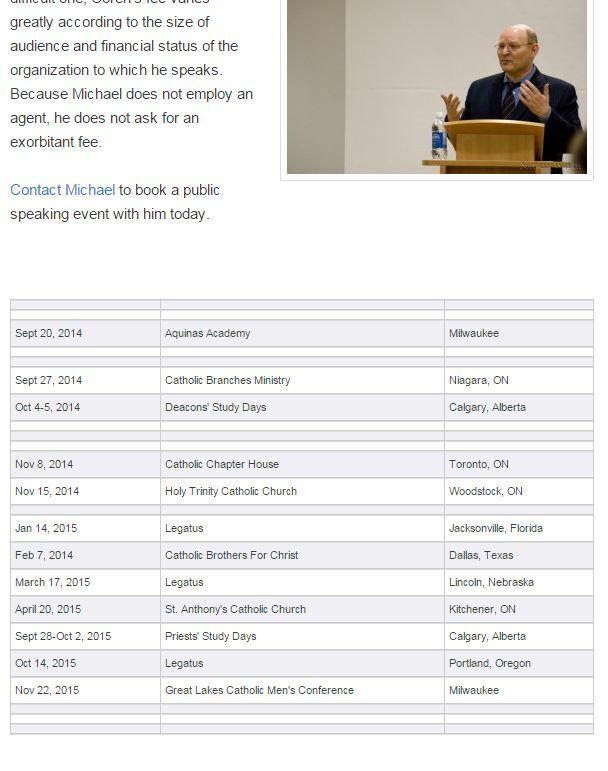 So, basically he has been a crypto-Anglican for a year – all the while accepting money from Catholic organizations. Michael Coren this weekend. This is at St James. He is a parishioner at St Martin in the Field. — Quote —The issue of the ordination of women is not as complex as some people would like us to believe and is really one of basic humility. The Church simply does not have the authority to ordain women. It’s not a question of what anybody would like or want or even need but an issue of scripture and the teaching of Christ. This might not be important for non-Christians but is extremely relevant to those who worship and follow Jesus Christ. It is interesting, of course, how many who not only don’t believe in Christ or God but despise Catholicism seem concerned about changing the Church when it comes to the subject of women clergy. The first and more important fact is that Jesus being born male was not some chance event or an accidental decision. God has a purpose in everything He does. Within the sacrificial system of Israel and the Jewish people, the Sin offering and Passover Lamb had to be males without blemish, and since Christ fulfills these sacrifices He had to be a man. The Church is seen in scripture and tradition as a bride with God as the bridegroom — the roles are there for a reason and out of God’s plan for us and for the Church. We don’t have to believe in God, but if we do we surely have to believe that He knows more about His plan than we do. In Catholicism, the priest acts in persona Christi (in the person of Christ) as Jesus celebrates the sacraments for His bride, the Church, through the actions of the male priest. It is not a question of equality but of divinity. It has also been argued that Christ was only observing the cultural norms of His day and that two thousand years later we need to adapt just as we have in many other areas where ideas of what is acceptable have changed. Or to put it another way, Jesus was a prisoner of His age and just didn’t get it. Apart from the obvious dangers and sheer silliness of such a relativistic approach, the basic premise is fundamentally flawed. Christ ignored or rejected many social and cultural aspects of his time, which is one of the reasons — though not the main one — that He was opposed by the theological and political establishment. He was not a conformist and had no problem at all with interacting with women, much to the annoyance of many of the religious reactionaries of His time. Indeed, not only women but women of dubious reputation and questionable pasts were welcomed into his group, an inclusion that was positively shocking to many of His contemporaries. In numerous other areas, He broke with custom and tradition but chose to observe it as well when it mattered and when it was important and necessary for the plan of salvation to do so — culture and tradition were forced to adapt to Him, not He to them. This is extraordinarily important. Christ ordained only men and chose them as His disciples for precise reasons and not out of some peculiarity or banality of time. He was also well acquainted with priestesses, who were common in the religions of the era and His homeland, at least outside of Judaism. If He’d wanted to ordain women there was no stronger and more qualified candidate than Mary, who is the only other person who could have spoken the words “This is my body. This is my blood” and been literally accurate. Yet He chose specifically and deliberately to ordain only men, while giving women enormously prominent positions in His ministry and teaching. Catholics are frequently criticized because of the prominence and respect given to the Virgin Mary while simultaneously condemned for not giving enough prominence and respect to women. While the Pope is, obviously, the Pope and can only be a man, he is not as honored within Catholicism as the saints and the doctors of the Church. There are hundreds of female saints, many of them the most important and beloved. There are also three women doctors of the Church. If this is misogyny, then the Catholic Church has a lot of learning to do. Christ’s vision for the place of women in the church both during and after His life on earth is centrally important. It is women who first tell of His resurrection, thus being the first people to spread the ultimate good news. Remember that the same Church that is accused of being opposed to powerful women was the body that accepted the Gospels as we know them with their emphasis on the Virgin Mary, the dignity of women accused by men of immorality and sin, and their role in believing in Christ being alive when others doubted — all hugely significant and world-changing. Why would this be if Catholicism was opposed to female influence? It is not opposed at all but merely obedient to Christ’s teaching about everything. And everything includes never excluding women from the very epicenter of the Church while embracing the exclusively male nature of the priesthood. Another argument, a favorite today, is that it’s just not fair that men can have what women cannot. This is a little like a man complaining that he can’t give birth but a woman can, an argument that could be made only by a man who has never stood next to his wife as she delivers their child! Sorry and all that, but men and women are different and gender-bending may work in some areas of life but not in the institution that will take you back to God, the creator of the universe. To loosen and reform the priesthood to include women would be to destroy the priesthood. If you desire a broken cup, you can have it, but the cup is no longer whole or complete and is no longer a cup. Nor is gender the only obstacle as all sorts of men do not qualify for the priesthood, including for the most part those who are married. Or men who are not Catholic, or men who cannot make the sacrifices necessary to be a priest, or men who are considered ill-equipped to be priests. We are all equal in the eyes of God, and baptism gives us the same dignity, but we cannot all be clergy. With regard to influence in the Church, women such as St. Bernadette or Mother Teresa have had a far greater impact and significance than most men and this includes most clergymen, who live glorious but often anonymous lives. Because of the fashion for claiming sameness in every occupation, there are all sorts of activists who will claim that the Church adopted all-male clergy late in its history and that the early church ordained women. I suppose it would be nice for these zealots if this were the case, but then it would be nice if rainwater were beer and if taxes were paid to us by the government rather than the other way round. Not going to happen. Never did happen. Read the Church fathers, any of the Church fathers, to understand very quickly that priests have always been men and never women. There were certainly women in the early church who belonged to orders of virgins and widows but these were precursors to modern nuns and had nothing to do with early or later priests. The first as well as the last word. The Pope gives us the answer here, and if we refuse to listen to or accept it we can go elsewhere, join another church, and even be ordained in it as a woman minister, a divorced minister, a homosexual minister, or pretty much whatever minister you like. Variety is wonderful but so is Catholicism, and sometimes the two don’t mix. Doing the whole “Roman Catholic Church” vs Anglo Catholic thing on his twitter feed. He never called it the Roman Catholic Church before – just THE Catholic Church! @nelliebranco Ha ha. 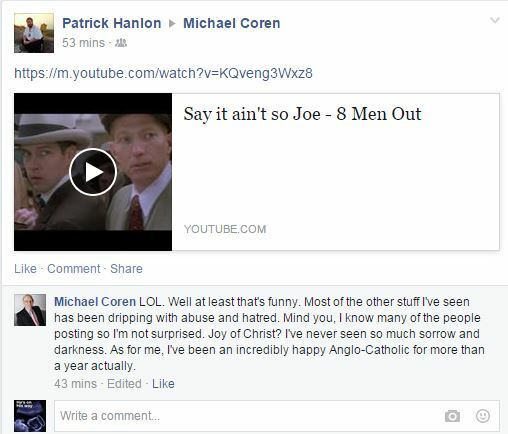 Some right-wing Catholics finally realized I'd been an Anglican for a year & spent last 24 hrs telling everybody. Read what was done to Bruce Reimer. 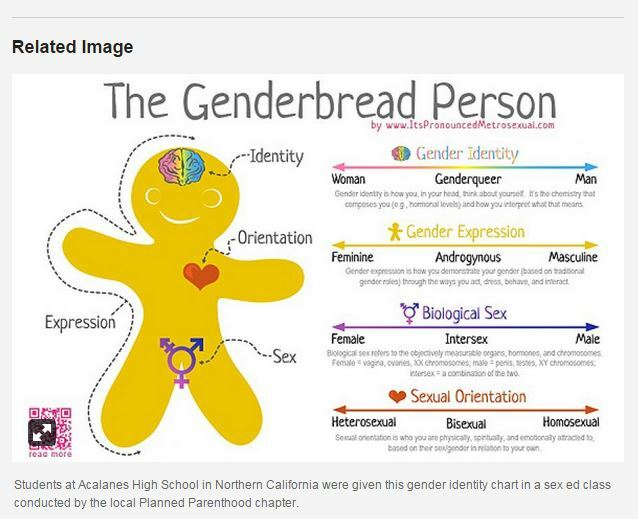 This is the “science” behind GenderID. 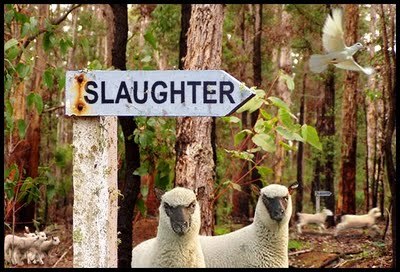 Don’t let your children be lambs sent to the slaughter! 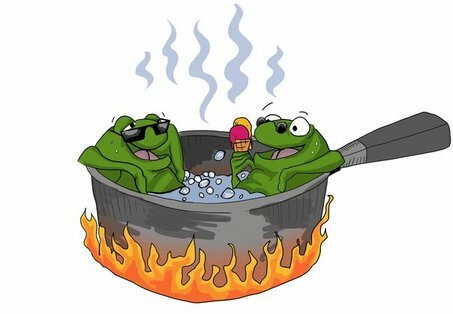 Do not be like a frog in water slowly being warmed up and being boiled to death! The story at bottom from Lifesitenews is amazing. The disdain this teacher has for parents is immense. So, a lesbian (or straight) activist OECTA teacher could teach this upcoming fall EXACTLY what Teacher Gunn taught (see story below) in various subjects and on random days. “Exemption” would be impossible. 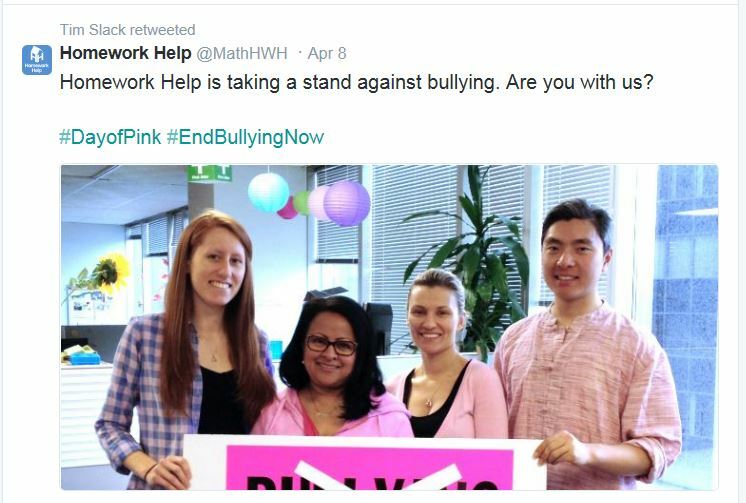 DGPE is a UOttawa organization that OCSB is tightly coupled with, that does “social justice math”. 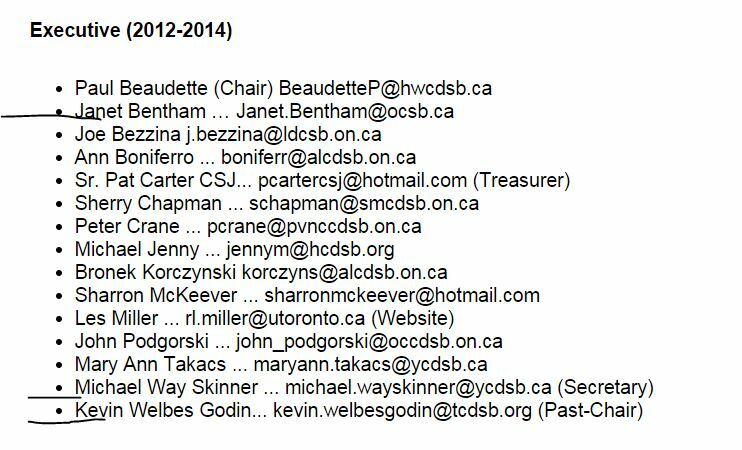 So, OCSB has already bought into the whole cross-curricular social justice idea. What not gay “marriage” social justice math? On the same day that the Gay Social Justice math story came out, this story on the huge amount of $$ parents are now spending on Kumon etc because “social justice math” just get children confused and forgetting about the actual MATH! 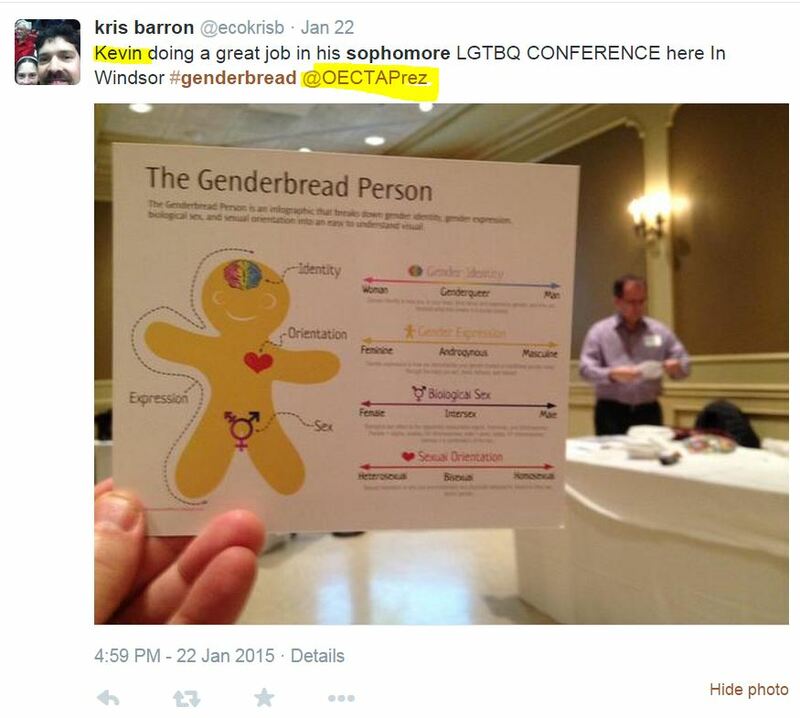 Will #OCSB staff condemn Gay Indoctrination Coordinator at York #Catholic Board? a) Jan Bentham is Coordinator for Religious Education at the Board (MWS has a similar role in York). She is also a CARFLEO exec and a past award recipient. CARFLEO recently gave MWS a major award. Will CARFLEO/Bentham retract this award, given what we now know about MWS and his cherry-picking? 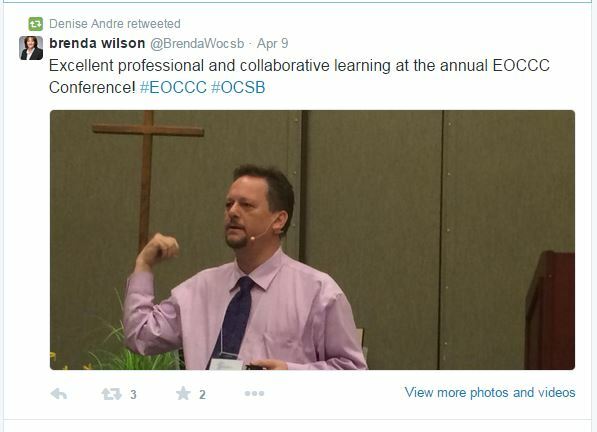 Will Oliver/EOCCC condemn MWS or will their silence mean their approval? With people like MWS et al, no wonder the CARDUS study showed government catholic school grads WORSE than public school grads in terms of faith and morality! 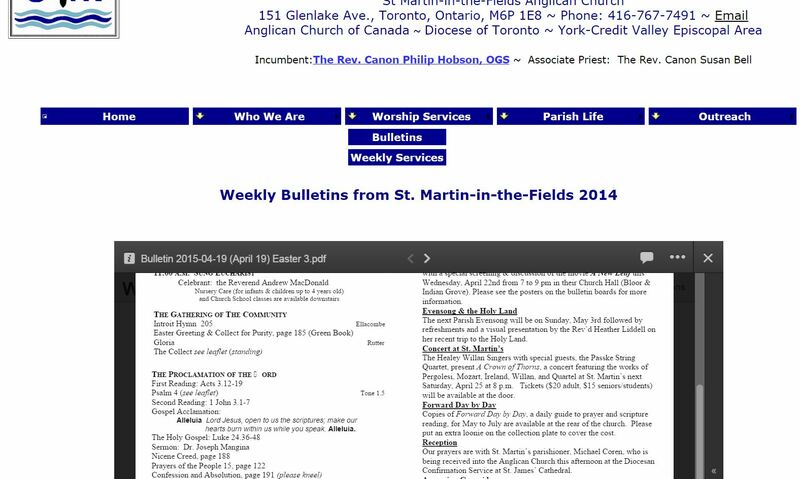 Posted on April 21, 2015 April 21, 2015 6 Comments on Will #OCSB staff condemn Gay Indoctrination Coordinator at York #Catholic Board? As well, the catholic school system has already agreed to Bill 13 and the whole Equity and Inclusive Education laws. This may allow the teaching of this material for under Grade 4. And some aspects of the new health curriculum can’t be avoided — explaining why it’s OK that some families are different, and not teasing other students because they have “two mommies” or two fathers, for instance. This portion of the curriculum was enshrined in Ontario law under an anti-bullying bill in 2012, as well as under provincial human-rights legislation. “The human-rights pieces [of curriculum], you’re not going to be able to exempt your [child] from those,” Mr. Barrett said. More bad things headed for St George’s School. The students have had to live through the assault by anti-Catholic parents like Quinn Maloney’s mother Ann (pro-“choice”, pro-gay “marriage”). Quinn is the supposed founder of the Gay Straight Alliance at St George’s. The principal at St George’s was one of the very few faithful Catholic principals at the OCSB. However, we all remember how she was over-ruled by Director Julian “Wee We Day” Hanlon, Superintendent Peter “Mindfulness” Atkinson and OCSB Chair(wo)man Ted “Who am I to Judge” Hurley. Now, we find out that St George’s is getting a new principal and Principal Beauchamp has been moved to a new school for 2015/16. Run out by Anti-catholics? What happens when a “catholic” school board uses secular textbooks and teaches secular courses? 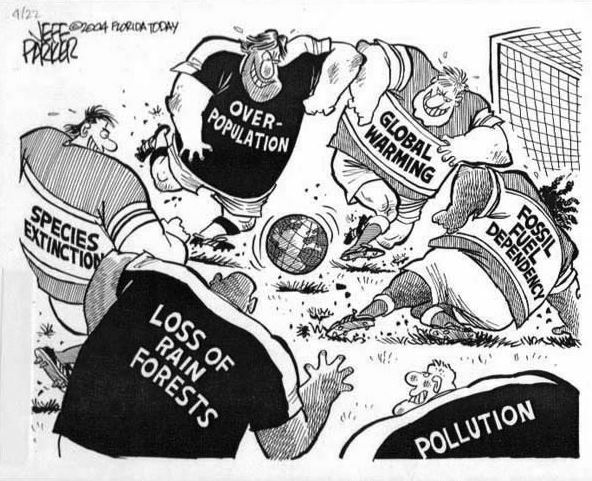 They spend a lot of time talking about overpopulation and population control!